So, some people might view me as a one stop shop. I view myself as utilizing what I love and enjoy to help others. 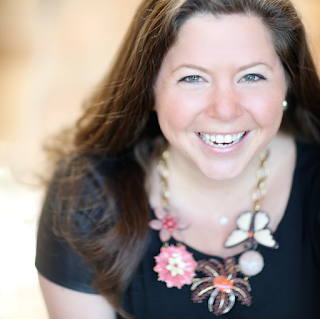 A personal stylist, a private shopper, an organizer, a helper to say. I have OCD. Mild, but I do. And because of that, I loooove to organize. I have become a professional organizer because of it. I enjoy helping people organize their pantry, master closet, bathrooms, basements, kitchens, office space, you name it! Nothing to big or too small. 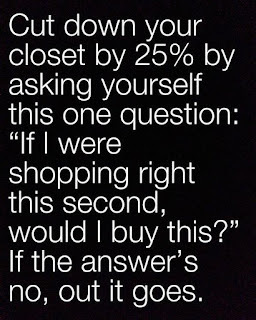 Now, if only I could take this advice for my own closet! 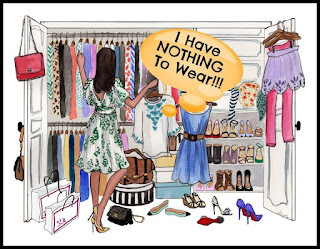 Like most women, I stand in my closet and often think I have nothing to wear. And I tend to go towards the same things. So why do I keep everything else? Because I say what we all say, "SOMEDAY I'll wear it." or "SOMEDAY I'll fit into it." Someday may or may not come. So why have it?! Here is the challenge. Take a step back and look, realllly LOOK at what is in your closet. What do you wear? 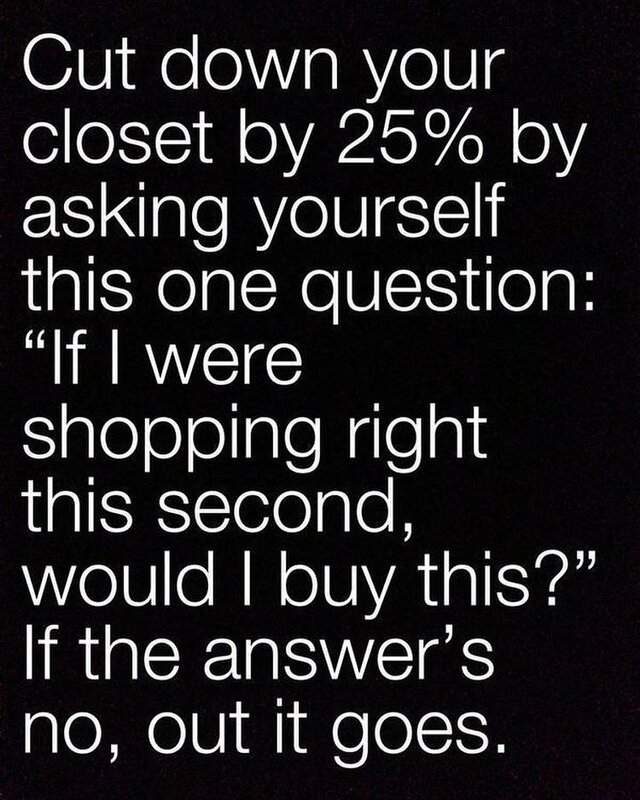 what do you hope to wear? What do you love? What is meh? What makes you feel pretty? What DOESN'T make you feel pretty? The answers to all of these will help determine what to keep and what to part with. I'm ready to cleanse. Are you?